Population Zero Factions System Gets a Breakdown | Nerd Much? When players initially jump into Population Zero your character is human. But the planet you find yourself on, Kepler, is host to “mysterious forces” which ensure your continued evolution. 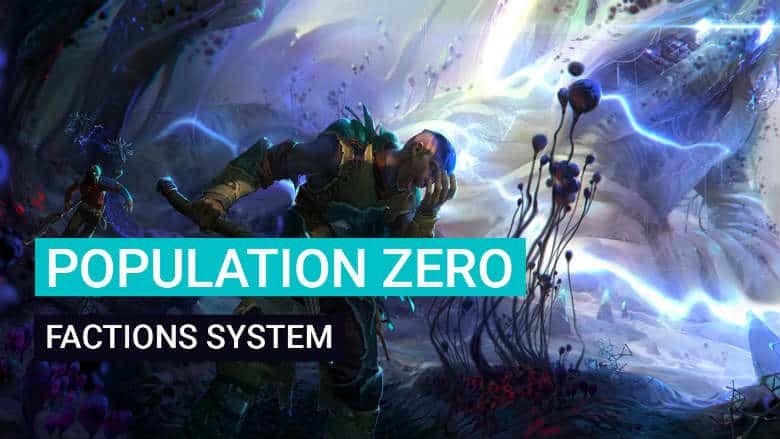 That evolution is the basis for the Population Zero factions system, and the three choices that will shape your gaming experience. The class provides more survivability, strength, and resistances than the other two faction choices. They also sport more damage and endurance, and are immune to poisons. They are capable of finding things on the planet that the Technocrat and Xenobiote can’t. However, the Void class is hampered with lack of ability to build, craft, wear armor or use weapons. The Technocrats are more technologically inclined, as their name might suggest. And they serve to turn Kepler into a new Earth. The class can craft more advanced devices and tools, which in turn improves your armor and weapons further. As for the Xenobiotes, this class of the Population Zero factions system is one with Kepler’s nature. Enplex says the class has formed a symbiosis with the planet. Bonding with the local creatures and fauna will enable faster crafting, weapon building and construction. The Xenobiotes use plants for crafting and ally with the animals on Kepler instead of attacking them. The developers state you won’t be stuck with one class within the Population Zero factions system. Instead, you’ll be able to change back and forth as you please. But the game’s lore indicates that “Technocrats want to conquer the planet while Xenobiotes believe in alliance with nature,” so you’ll likely have a preferred faction to side with. If you purchase the Population Zero backer levels then you have access to the game’s Alpha Event. And with that, your ability to choose what side of the war that you’re on. But if you’re holding out on Population Zero for now, you can see what other MMOs are on the way with Nerd Much?’s list.